Two capsules 1-2 times a day with a meal. 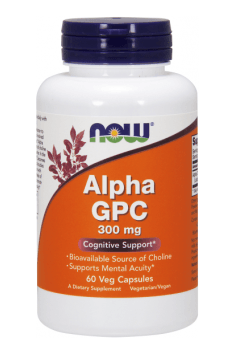 Just 1 capsule per day should improve memory and concentration in people with a deficiency of acetylcholine. Dose can be increased to 2 capsules a day and taken after meals. An alternative to the everyday application is the ad hoc use before learning / work or training to improve the capacity of the brain and muscles. Protects from harmful sun radiation; prevents wrinkles, freckles, and discolourations.